Don't put your casual style on the shelf when you can still dress to impress with a walking suit from Robert Lewis. Robert Lewis makes casual looking walking suits that will certainly look great with your collection of Stacy Adams shoes and even gator shoes if you really like to ball. 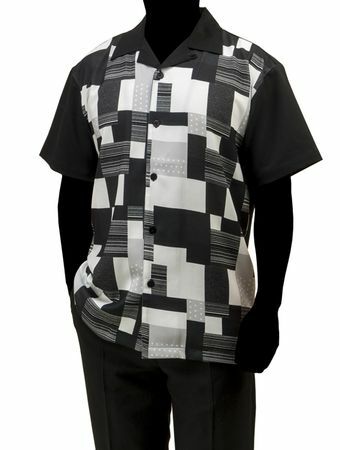 This black casual walking suit has a block pattern top with open style collar and matching solid pants. Made of fine poly/rayon.